Researchers with the University of Florida just published a troubling report confirming that three Nile crocodiles have been captured in the Everglades since 2009. 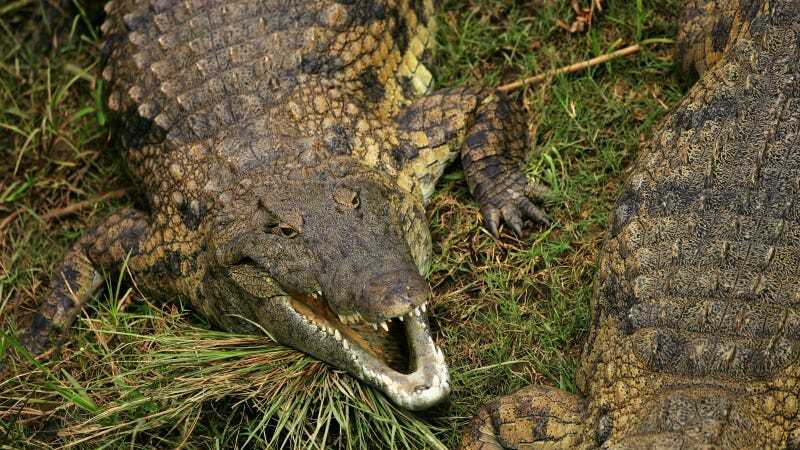 Responding to reports from local citizens of odd looking alligators, scientists were able to capture and genetically test the crocodilians and confirm that they are indeed Nile crocodiles. Prior to confirmation, it was unclear if this was a new invasive species or an American crocodile, which is currently listed as a threatened species. Because of this, the crocodiles had to be tagged and released back into the wild until they could be confirmed they were introduced. One of the three crocodiles, a juvenile, was subsequently captured twice—once in 2012 and again in 2014. In that time, the crocodile had doubled in size, growing roughly 16 inches per year. The scary part is that this rate of growth is 28% faster than Nile crocodiles grow in Africa, suggesting that the species would thrive in the Everglades if it got a foothold. Nile Crocodiles, on the other hand, have a deserved reputation as man-eaters. While finding three Nile crocodiles in Florida is not cause for panic, the Everglades really can't handle any more invasive species. As stated in the paper, the state of Florida already has "more introduced herpetofauna than any other governmental region on Earth." The most high-profile of course being the Burmese python which is now sitting side-by-side with the American alligator as the Everglades' apex predator. This seems like as good a time as any to insert this video of an alligator fighting a python, which is the answered wish of my 9-year-old self. While the American alligator was only taken off the endangered species list in 1998, they're also perhaps the biggest success stories in the history of conservation with now 1.3 to 2 million in Florida alone. But while we don't directly have to worry about the fate of the alligator, there are many already endangered species who are being further threatened, not to mention the bottlenecking of food supply with additional apex predators.